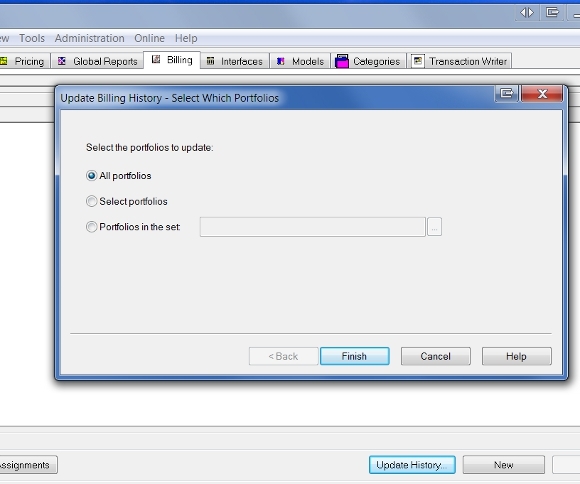 PortfolioCenter Bill History explained Let us manage the data, so you can manage the money. Q. Can you explain the what the Bill History is in PortfolioCenter and how to use it? It nevers seems right. A. Sure! The Bill History tracks the management fees calculated by PortfolioCenter for each group and portfolio. 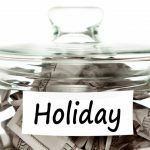 The fee amounts in the Bill History may not always equal the management fees that were actually deducted — which is probably part of the confusion. BEFORE management fees have been sent to your broker for processing, review the Bill History to check for errors. (However, I find reviewing the actual invoices a more foolproof way to catch errors.) AFTER your fees have been processed, use the Expense report for checks and reviews. If you bill a single portfolio, the Bill History field of that portfolio is updated. If you bill a group and deduct the entire fee from a single account, ONLY the Bill History field of group is updated. If you bill a group and allocate the fee, the Bill History field of each portfolio in the group is updated and the Bill History field of the group will be blank. Updating the Bill History may not clean all previous errors. Updating the Bill History does not create transactions in PortfolioCenter and does not affect performance. If you change a bill specification after printing your bills, the management fee in PortfolioCenter will be different than the paper copy. If you change the dates on a billing spec, PortfolioCenter treats it as a new date range and creates a new entry in the billing history. For example, if the original date range was 12/31 to 03/31 and you change the billing spec to 01/01 to 03/31, you will have two entries in the history: one for 12/31–03/31 and one for 01/01-03/31. If a portfolio is mistakenly billed twice, the number in the history will be the last bill spec processed. If you change a billing spec from allocation to non-allocate, the bill history of the individual portfolios will remain until you delete the history. PortfolioCenter Invoice does not match the Billing Summary?